Move over Macy’s. Take a backseat turkeys. 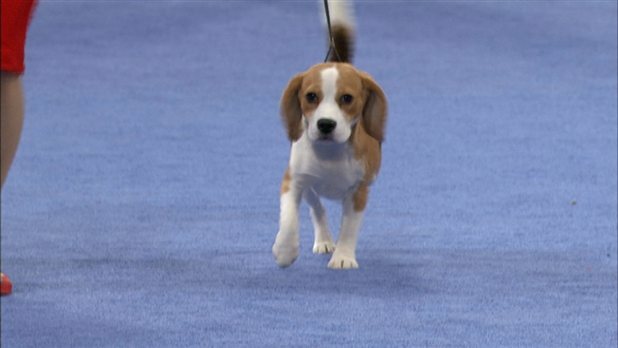 Tomorrow’s really about dogs as the National Dog Show takes place in Philadelphia. Over 2,000 pure breeds ranging from Afghan Hounds to Xolos will be competing for best of breed and best in show honors. Perhaps when they’re done strutting their stuff, the show dogs can indulge in a holiday feast. Tune in on NBC after the Macy’s Thanksgiving Day Parade. This entry was posted on Wednesday, November 23rd, 2011 at 11:38 AM. It is filed under Blog. You can follow any responses to this entry through the RSS 2.0 feed.